Our Learning & Research centre boasts state-of-the-art education facilities to make sure our staff continue to provide our patients with outstanding care. It will give you access to a 130 person lecture theatre and a range of teaching and seminar spaces, and clinical skills and medical simulation facilities. 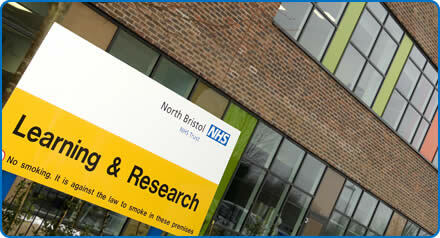 The centre is currently home to our Learning & Development Department, Research & Innovation, the UK Renal Registry and the University of Bristol. Learning & Research ensures that all staff have the appropriate knowledge, skills and attitudes to deliver high quality and responsive patient care and services, and supports access to learning, development, research and innovation.